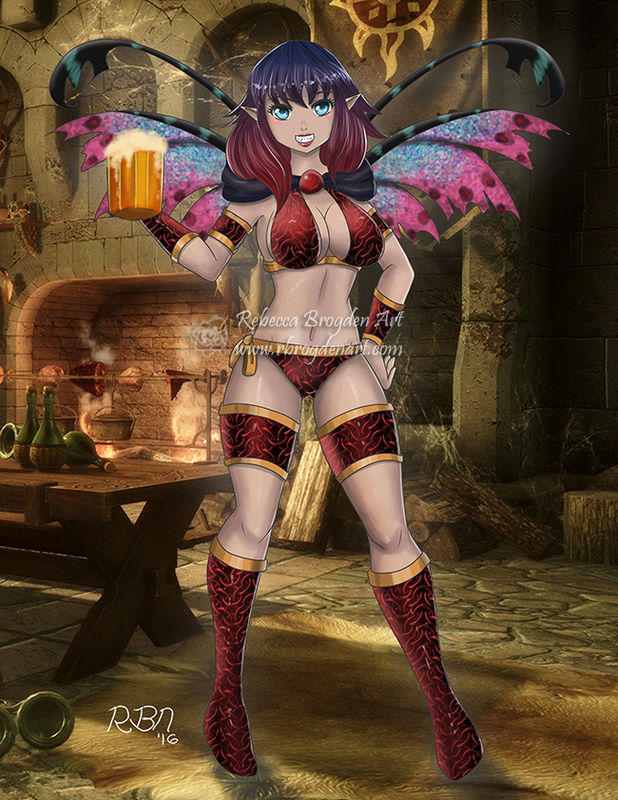 My OC in her bikini armor about to take her first drink in a bar. Background is not mine. It is a screenshot from Elders Scrolls Skyrim.